Early in my work with Spanish-speaking immigrants, I would request a basic form or information in Spanish to allow the person the dignity of filling it out on his or her own. The person often looked like a deer in the headlights and asked me to fill it out for them. And then, I finally understood. The person couldn’t read or write but was too embarrassed to say so. In the U.S, we pretty much take literacy (and education) for granted. Most states have compulsory education laws requiring students to attend school through age 16, and in some cases, until age 18. Ninety-nine percent of the adult population (age 15 and above) are able to read and write. Mexico has compulsory education through 12th grade (age 18) and a literacy rate of nearly 95 percent. 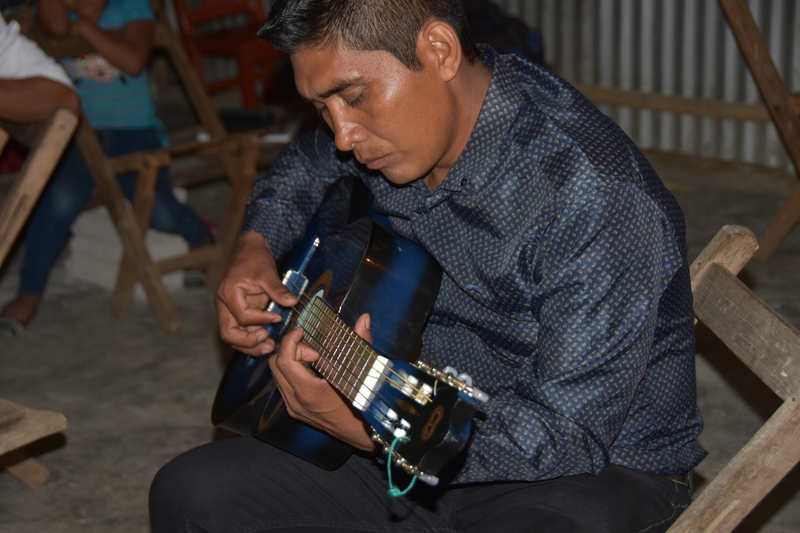 In Guatemala, however, compulsory education is only through sixth grade (age 14), and literacy rates there are the lowest in Central America at approximately 75 percent. And while education is compulsory, there is little enforcement in either country. Education may be “free,” but there are challenges, many of which are economic. Students must still buy books, supplies, uniforms, shoes and so on. And if they don’t live in the immediate community near the school, they need transportation. Many rural schools in Latin America are made up of multigrade classrooms; there is no school beyond sixth grade except in larger towns. And for many children, their parents don’t see the need for education; they’re needed to work at home. And besides, education isn’t going to lead to a better job in their communities. Jaime grew up in rural Mexico. He estimates he may have attended as much as two years of elementary school. He worked hard with a tutor and then worked with his children to learn the basics, beginning with the alphabet and forming basic words in both English and Spanish. Jaime then began to study for the U.S. naturalization test. He mastered basic writing skills, like writing his name and address and creating simple sentences in English. He and his wife both passed the test, and he’s now a U.S citizen. (You can see what’s on the test here). Particularly at risk are those who are female, poor, indigenous and live on the margins of mainstream society. For indigenous children in Latin America, the schools teach in Spanish, not in their native language, and most teachers are not reflective of their culture. Some children lose interest in school, while others have few opportunities available to them once they finish primary school. Claudia, a single mom from Guatemala, grew up in the western highlands of Guatemala and finished sixth grade. But there was no secondary education option available. Some students moved to a larger town to study, but that was expensive and required leaving home to live with a friend, a relative or in a boarding house. Claudia convinced her parents to allow her to migrate to Mexico for work and later she came to the U.S.
Claudia works hard with her daughter, Gris, to help maintain her indigenous language — Acateco, a Mayan language — as well as Spanish. Gris began first grade in the U.S. and is trilingual. She loves reading and has introduced her mom to the library. They know where to locate books in Spanish and often read together. Julita was the first of my clients to ever express the need for “glasses” nearly 15 years ago. She was 35, spoke no English and her Spanish was stilted, as it wasn’t her first language. She didn’t know her birthdate and couldn’t spell her name or give you her address. She and other indigenous family members left southern Mexico in the late ’90s when their water supply was poisoned in an effort to run them off their land. While Julita is illiterate, she recognizes the value of education for her children, ages 14 and 16. In spite of not being able to help with homework or engage well with their teachers, Julita and her husband have sought out enrichment programs and encouraged extracurricular activities for the kids, and today, they’re healthy, well-rounded teens. For some, that comes later rather than sooner. For others, educational goals are realized alongside their children. And for still others, they strive to see their children have every opportunity for the best education possible. Note: This article originally appeared on March 28, 2019 in EthicsDaily.com as part of a series for Public Schools Week. I traveled internationally with my sons on two separate occasions several years ago. I was “estadounidense” (“American”) and gave little to no thought to whether I was able to travel alone with the kids. We were U.S. citizens, which is to say, we were somewhat oblivious to the rules, regulations and visa requirements that most people face. With my older son, Jason, when we arrived at the airport to board our flight home, I was asked for country-specific paperwork that showed I had the authority for him to leave Costa Rica with me. This involved an application process, complete with signatures from both parents, interviews with government officials and properly notarized documents with “timbres” or official stamps. I had purchased an exit visa that showed that Jason was a legal permanent resident, which placed him under Costa Rican protection as a minor. I was free to go home, but not Jason. For my younger son, Kyle, Costa Rican law had recently changed and all minor travelers born in Costa Rica, regardless of their nationality, country of residence or passport, were covered by child protective services and required the government-issued travel documentation. For both kids, the system promised to be responsible for them until a time when I could return and present the proper paperwork in order to take them home. There was no way I was going to be separated from my kids. I was horrified at the idea that they could be taken away from me, the parent, or held in the country simply because I hadn’t known about current Costa Rican policy and law. I acted like a typical parent – I was pretty hysterical and irate. Today, as I contemplate our government’s recent separation of children from their parents with no apparent thought given to reunification, I’m reminded of that day in the airport, being told Jason couldn’t travel. What if he had been taken from me, moved to a shelter or placed with a family until I could return with proper documents? What if we hadn’t lived near Washington, D.C,. where my husband was able to travel to the Costa Rican consulate and present the necessary documents for Kyle to return home? What if none of us had spoken Spanish? What if we had known no one in Costa Rica who could help us? Or if I had been accused of smuggling the kids and detained? I don’t have a clue what Costa Rica would or could have done with my children, but I wouldn’t have immediately known how to get them back, especially if they had been moved well over 1,000 miles away (which, from Costa Rica, would be the equivalent of moving them several countries away). For many of the parents who arrive at the border with their children, the idea of being separated probably never crossed their minds until they saw it happen right before their eyes. In the hospital, a patient is given an armband that is checked and double checked by every healthcare professional who engages with that patient. Children are checked in and out of schools, daycare facilities and church programs, always under the care of their parents. Parents don’t entrust their children into the care of strangers, no matter how attractive the program or nice the representatives seem. So, exactly how did we as a nation get to the point of believing it’s a good thing to take children away from their parents? What was the plan for reuniting them, and what were parents told? How are they to go about getting their children back, once they are released from detention? In my situation, both of our sons returned to the U.S. with me, and all is well. This makes a great family story about how Mom brought Jason home with a new tourist visa – after purchasing baseball caps and a change of clothes for both! And about the days spent dealing with government agencies to obtain permission for Kyle to return home. But what stories will be told by the thousands of children and parents separated through “zero tolerance” enforcement? Posted bySue Smith January 11, 2019 January 11, 2019 Posted inBlogTags: border security, familyseparation, immigration, immigration enforcement, zero toleranceLeave a comment on Ripping Families Apart: How Did Our Nation Get Here? Each summer, parents want to keep their kids engaged and occupied. And for working families with limited income, this can be particularly challenging. Healthy meals, safety in the neighborhood, monitoring television viewing, time spent playing video games — all of these issues are important concerns. 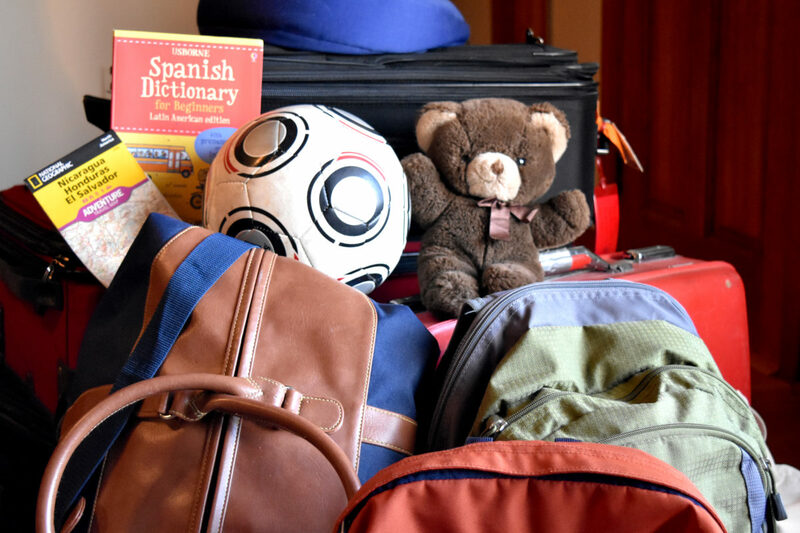 While some families schedule camps and activities and family vacations to keep their kids busy, the summer months can be the busiest at work for many of our Latino families. Parents juggle work schedules to provide adequate supervision and rely on older kids to care for younger siblings. Many parents leave easy-to-prepare meals for breakfast and lunch. A trusted adult is only a phone call away, but days can be long and boring for the kids when spent indoors. Through Bridges of Hope, LUCHA is providing a variety of activities this summer to keep the kids engaged and to involve the parents as much as possible, with the hope that they’ll be ready for school again once classes start. First, we addressed the issue of having meals that the kids could prepare safely at home, to encourage responsibility and independence. In May, parents and other volunteers worked alongside the Stafford Rotary Club to package easy-to-prepare fortified pasta meals that were then distributed to families in our community. Parents helped the kids learn how to properly prepare the meals in the microwave. We’re hearing back from the kids that the meals are “delicious” – and the parents are impressed and proud when their children are able to make their own lunches when necessary. 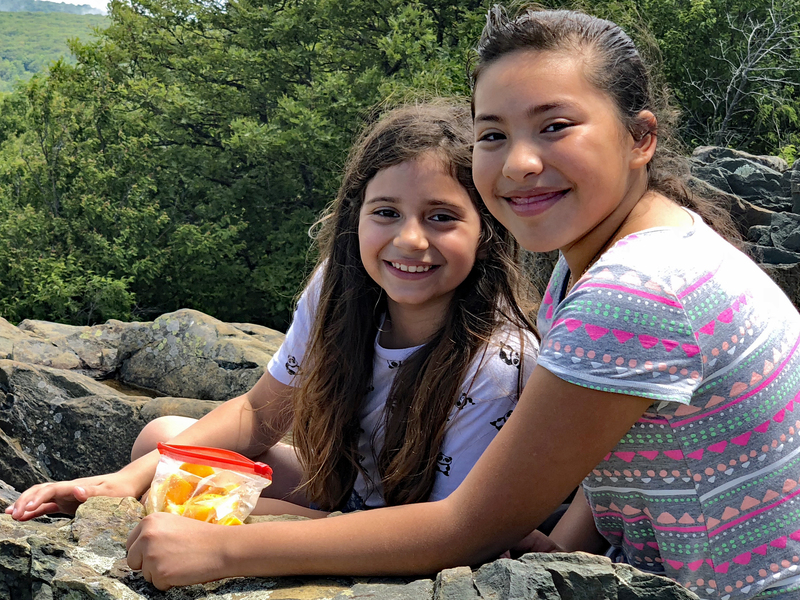 In June, on the first weekend of summer break, LUCHA’s Girl Scout Troop headed to Shenandoah National Park with parents and siblings for a day on the trails. We began hiking on a misty, foggy trail where we encountered a bear. We all put our “what do you do if you encounter a bear” skills to work and slipped safely by while the bear ignored us. When we reached Hawksbill Summit, the highest point in the park, the skies cleared as we ate lunch overlooking the beauty of the valley. We finished the day with a hike to Dark Hollow Falls, completing nearly 7 miles of hiking. Tuesdays during the summer are filled with trips to the local pool. We’re blessed to have “Pastor Paul” Harfst who teaches kids to swim. 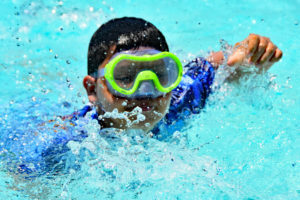 He works individually with them until they swim well enough to pass the swim test, which gains them access to the “deep end” — but more importantly, to the slide! As each kid swims the length of the pool to complete the test, others walk alongside the lane and cheer them on. So far, most of the 30 or so kids ages 10 and up have passed and are able to go down the slide – along with Pastor Paul! 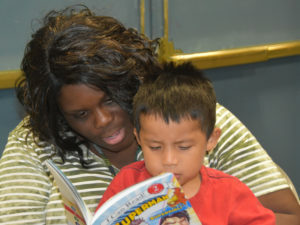 On Thursdays, LUCHA sponsors a summer enrichment program at the library under the direction of ESOL instructors. The children are divided into age groups to read stories and engage in activities that support reading comprehension. Jazmine, a 17-year-old, is the oldest participant; she brings her younger sister and 2-year-old brother, who is our youngest participant. Jazmine is able to improve her reading skills in English, while Jesús sits quietly in his teacher’s lap as she reads aloud to him. Two newly-arrived girls from El Salvador will enter US schools for the first time this fall, and the program gives them the opportunity to meet teachers and make new friends in an English-speaking setting. 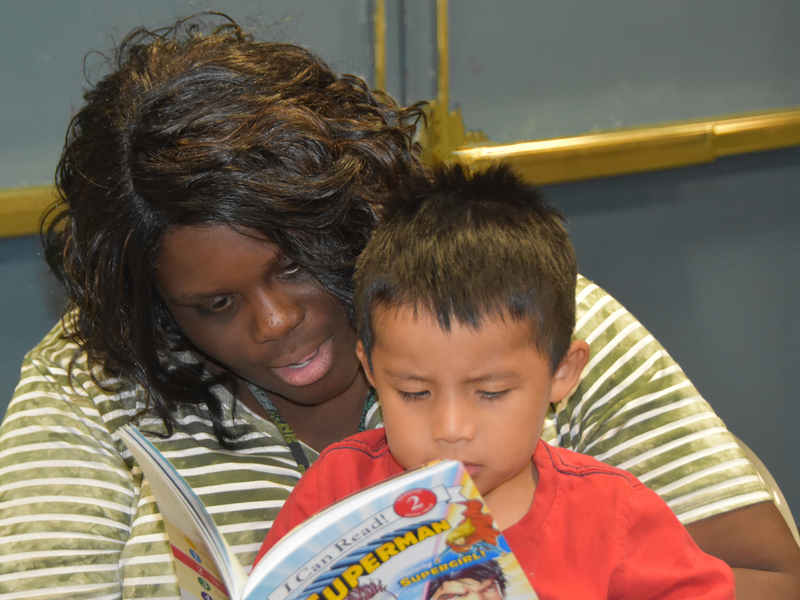 Both kids and parents are encouraged to apply for library cards and given guidance on how to use the library. As the summer winds down, we’ll make sure that the kids are ready for school with new supplies and backpacks. We focus especially on the middle and high school students, as they are most sensitive to the fact that their parents may not be able to purchase everything on the supplies list. We ensure that they have the basics: 3-ring binders and tabs, 3- and 5-subject spiral notebooks, composition books, pens and pencils, etc. Your donations of either school supplies or funds to purchase additional supplies are appreciated. And finally, we’ll remember our college students, many of whom are DACA (Deferred Action for Childhood Arrivals) holders or “Dreamers”, with $50 gift cards to start off their fall semester. Many of these students have participated in LUCHA’s programs since they were in elementary school, and we’d like to reward them for their accomplishments. While $50 isn’t much, they are encouraged by even a small gift that shows they are remembered. This statement exemplifies the feelings of DREAMers everywhere, who anxiously await the final fate of their current temporary status. 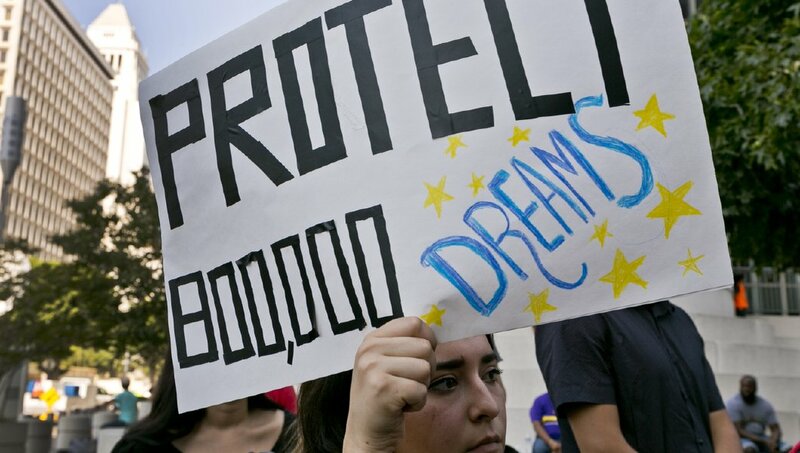 DACA, or Deferred Action for Childhood Arrivals, is a program that has afforded nearly 800,000 young immigrants the opportunity to come out of the shadows of the undocumented world. But it is scheduled to end in March 2018. Brought to the US as children by their parents, they had no choice in being here and most think of themselves as Americans. Many are college students and aspiring young professionals. Christian,* age 19, is a full-time second-year community college student who is studying Computer Science. He lives at home with his parents and three younger sisters (who are US citizens) and works five days a week to pay for his school expenses. He’s thinking ahead and plans to transfer to a four-year university once he earns his Associate Degree. We first met Christian when he was 7 and in the second grade. He participated in our after-school program, Study Buddies, and he became a volunteer during middle and high school, tutoring elementary-aged students from immigrant families. 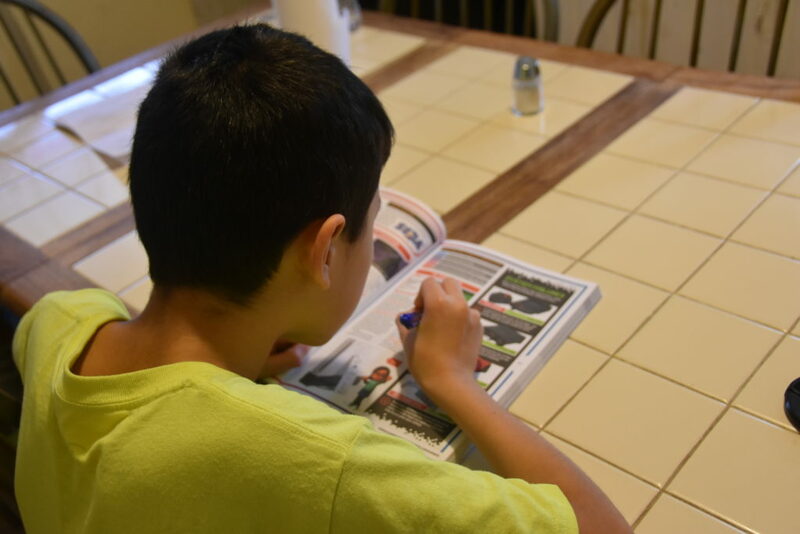 Christian is a natural tutor and role model for the kids, with his calm, quiet manner and ability to explain homework assignments to them in either Spanish or English. For Christian, losing DACA means losing his work permit and thus his job, which means he will no longer be able to afford to pay for college. Like most DACA students, he has no student loans and must pay school costs out-of-pocket or on a semester payment plan. He will also lose his drivers’ license, which will impact his ability to get to and from class or work –and his ability to help his parents with transportation. Christian and his dad commute to work in the same restaurant approximately 45 miles away from their home. 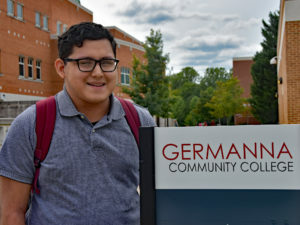 Without DACA, this young man who has lived in the US since age three will revert to status as an undocumented immigrant, working at unskilled labor jobs for cash, and his education will come to an end without the ability to pay for tuition, books, and materials. José* is 21 and a student. He lives at home and works a 40-hour per week night job in a call center, which allows him to take classes during the day at the university. He’s lived in the US since second grade. DACA had a huge impact in Jose’s life. As a middle-schooler, his family moved to a new home and he became aware that he was an undocumented immigrant. He was bullied and called “the Mexican kid” at his new, mostly-white school — even though he repeatedly explained that he was not from Mexico. He most likely had ADHD but no services were provided, and he struggled in school, even though he was very bright. Outgoing and friendly, José made friends quickly at Passport Missions camp and loved helping others, but he was also known for his impulsiveness and jokes. José gave up hope. “What difference does it make if I do well in school?” he said. “I’ll still be an illegal immigrant – just look at my parents!” His dad, a university professor in his home country, worked in the kitchen of restaurants in the US, and his mom, an accountant, was stocking shelves in a small retail store. But then, José’s sister earned an academic scholarship to a four-year private college, and he saw that her hard work really had paid off. 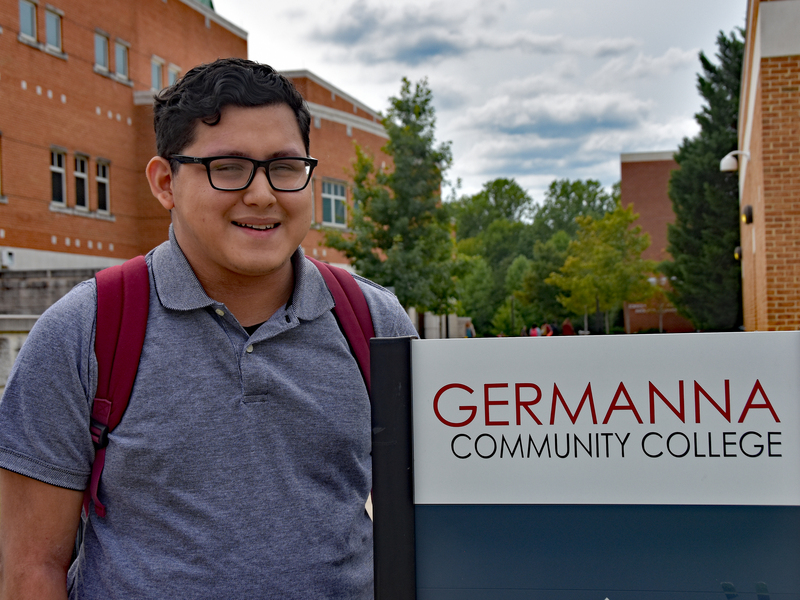 Soon afterward, DACA came along, which meant that college would be a possibility for him, too. José suddenly had hope, hope for the life his parents had sacrificed so much for him to have. But it was dependent on him to do his part, to learn responsibility. 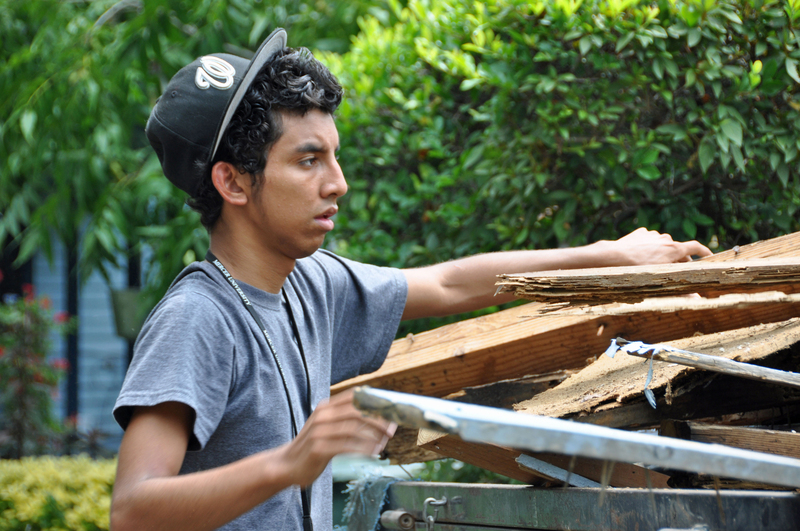 He quit skipping school, began to focus on his classes, and sought help for areas where he was struggling. He became a good student, and he found new friends. When he was approved for DACA, he was able to get his drivers’ license and obtain a part-time job to save money for a car and for college. It’s no surprise that Yerendi, now age 22, took charge of her DACA application once she was old enough to apply. She soon had a job, a car, and was looking forward to college. She was able to pay for her own clothes and help her parents out with expenses – plus becoming the family’s “taxi” as she took her younger siblings to activities and her parents to appointments. Her dad, a self-employed mechanic with a third-grade education, bought and refurbished a car for her. 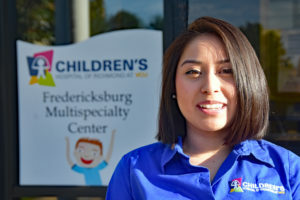 Yerendi began working for a physician’s office part-time, primarily getting the job because she had served as a volunteer interpreter for one of the physician’s Spanish-speaking patients. The job turned into full-time position, and she had to make a decision about school. She opted to work full-time and study part-time. 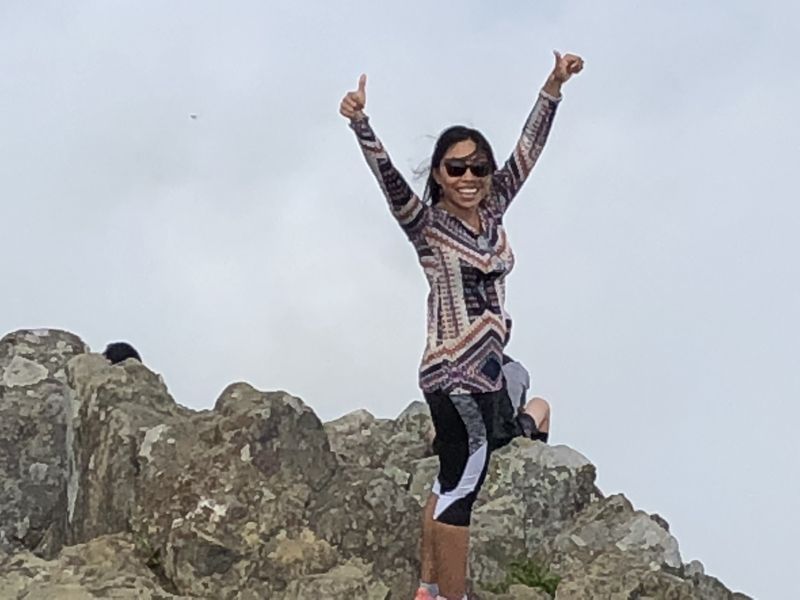 In the meantime, the practice became part of a university system, and now she qualifies for significant tuition assistance as an employee of the university. Plus, she determined she liked the medical field and has a heart for interpretation. Carlos graduated from high school last spring and recently turned 18. He’s been in the US since he was 2 years old. Carlos was born with spina bifida, a birth defect affecting the spine. Carlos has a severe form of spina bifida and has no use of his body below his waist. He will spend his life in a wheelchair. 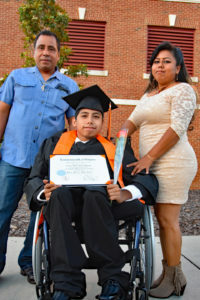 When his parents learned that there was nothing that could be done for Carlos through the hospitals in his country, they made the decision to come to the US. They simply couldn’t accept the grim prognosis that he would soon die. Almost as bad were the heartbreaking thoughts of the bleak existence that he would face as a person with disabilities in his home country if he survived. Carlos’ dad came to the US to find a job and a place to live, and Carlos and his mom followed later. In the US, they found help for Carlos in the form of charity care, free clinics, and a program through the National Children’s Hospital in Washington, DC. He received needed surgeries and medical care, and was soon able to use a wheelchair and go to school. Carlos’ mom has dedicated her life to caring for him and serving as his advocate, while his dad has ensured that there was somehow enough money to keep a roof over their heads, food on the table, and a somewhat reliable vehicle large enough to accommodate Carlos’ wheelchair. They’ve paid many of the costs associated with Carlos’ care out of pocket, with no form of health insurance. 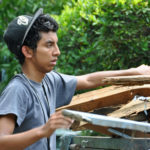 After recovery from spinal surgery, Carlos can move forward with his life. With DACA, he can work or continue his studies, normal everyday things that would be much more difficult for him as a person with disabilities in Mexico. Mirna was 5 years old and Emilio was 7. Mirna was a kindergarten student, Emilio was in first grade when I met these children. Their parents are from Honduras. As an ESOL teacher, I became involved with this family because both kids were struggling in school. They were missing many school days, and both had repeated kindergarten. Last summer, their father was deported to Honduras. 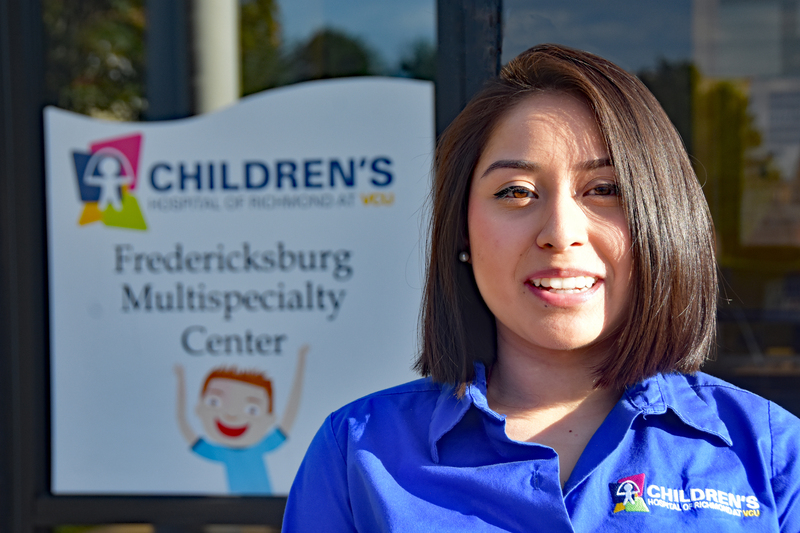 Zoila, their mom, began trying to find a job but it proved to be almost an impossible task. She didn’t have a driver’s license, so job hunting was especially difficult, and no one would offer her a job without a work permit. As time passed, she became depressed to the point where she could barely function. Getting out of bed required great effort, and there were many days when the children missed the school bus. And when they came home in the afternoons, they would often find their mom sitting in the same spot where they had left her hours before, unable to fix a meal or do the laundry. For over a year, the community has surrounded this family and tried to help, but without legal status, there are few options available, particularly for single moms. The children’s school was very supportive as faculty, staff, and administrators realized the family’s difficult circumstances. With extra attention and support at school, Mirna was making some progress but Emilio continued to struggle. LUCHA helped the family with counseling and with food from the food bank, and their church has pitched in as well. But it wasn’t enough. Zoila made the difficult decision to return to Honduras. Once the presidential election was over, fear and stress over the future plight of immigrants in the US made their situation worse, and Zoila began to think of returning to Honduras. She feared separation from her children, thinking it will be just a matter of time before she is caught and deported to Honduras, like the children’s father. And as American citizens, her children will be left alone in the United States, with no source of financial support and without their parents or other family members. Zoila, Emilio, and Mirna left the country on March 14, despite the fact that Zoila is very fearful for her future and for that of the children. She fears the violence in her home country and understands the lack of job opportunities there. While the children speak Spanish, Emilio is terrified. He’s seen many of the challenges that his mom has faced since his dad was deported, and while he tried to be “the man of the house,” it wasn’t enough. He’s also old enough to have heard things about living in Central America. If he was already struggling in school in the US, studying in Spanish in Honduras is going to be even more difficult. Not to mention the cultural issues he will face as an “American” kid. However, there are few choices available to Zoila. She wonders if she has failed her children by not being able to provide the future for them that she dreamed of — high school, college, good jobs and a stable future. 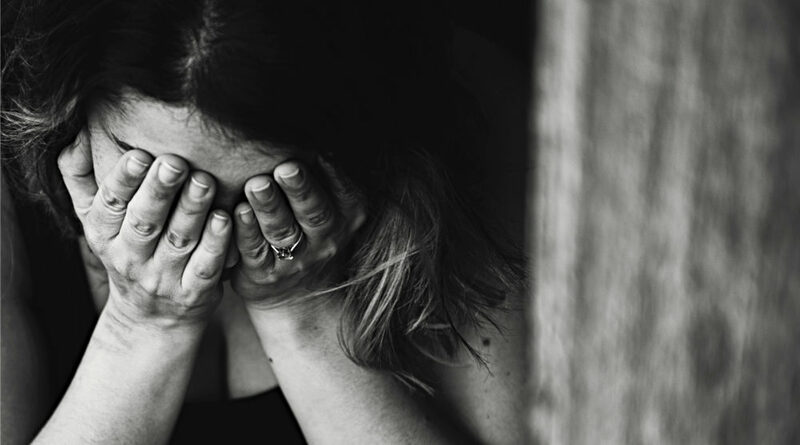 She hopes that once she is surrounded by her extended family, she will have the emotional support necessary to begin to heal her wounds and address her issues of depression and low self esteem. She knows she will face poverty, but there will be peace in her heart knowing that nobody will separate from her children. *This article was written by an ESOL teacher. “How do you feel when your parents migrate to the US . . . and leave you behind?” This wasn’t an easy question for students to answer in El Salvador. We were visiting an inner-city high school, Instituto Isaac Newton, located in the heart of San Salvador. The seven of us, all Baptists, were seeking to better understand this country and how churches and individuals in the US can come alongside and help with the challenges faced by families there. And to learn more about immigrants in our own country in the process. The challenges of the neighborhood were apparent just outside the entrance of the school, where we saw young men being cuffed and interrogated by the police. We walked through busy streets lined with vendors and learned that many were parents of students at the school. It was a section of the city rarely seen by tourists. Many students asked to meet with us, to tell their stories and ask questions about the United States. Approximately 25% of the students said they had a parent living in the United States, and more than 75% had a close friend or family member in the US. Only a few had not been directly touched by emigration. Public education is free through secondary (9th grade). Isaac Newton and other similar schools seek to provide a high quality private school education for upper-level students at minimal cost (less than $40/month). These students are studying for careers in healthcare, tourism, business, etc., largely thanks to assistance from parents and other relatives in the US who send money back. Ana*, a petite girl standing in the back of the packed classroom, raised her hand and bravely answered our question. “It’s hard, really hard” when you don’t have both parents with you. “My dad is in the US, and I miss him so much. But I know he’s away because he loves us and we need the money he makes there.” There’s no work for him here, Ana said, and she wouldn’t be in school if her dad wasn’t sending money back home to support the family. She said she was very appreciative of the sacrifice he had chosen to make for her and for her family. And then Ana broke down and sobbed uncontrollably as another student hugged her. Other students swiped at teary eyes. While the kids often feel hurt, abandoned, or lonely when their parent or parents leave them behind, they say that they have other family around to help, and they know that the absent parent has made a hard decision that is for the good of the family. Immigrant parents say that one of the hardest issues for them is the decision to leave a child behind. However, Latin Americans often view children as part of a rich family tradition where the members are strongly connected and where aunts, uncles, grandparents and even older siblings all share in the raising of a child. The decision is often a family decision, made in the best interest of the child as well as the extended family. “How could I bring my son with me, to a place where I had no job, no place to live?” said Maria,* a mom from Honduras. “I think it would have been too hard. He was better off with my mom until I could get established.” After a few years, she sent for her son, Jorge,* who was 10, to join her. 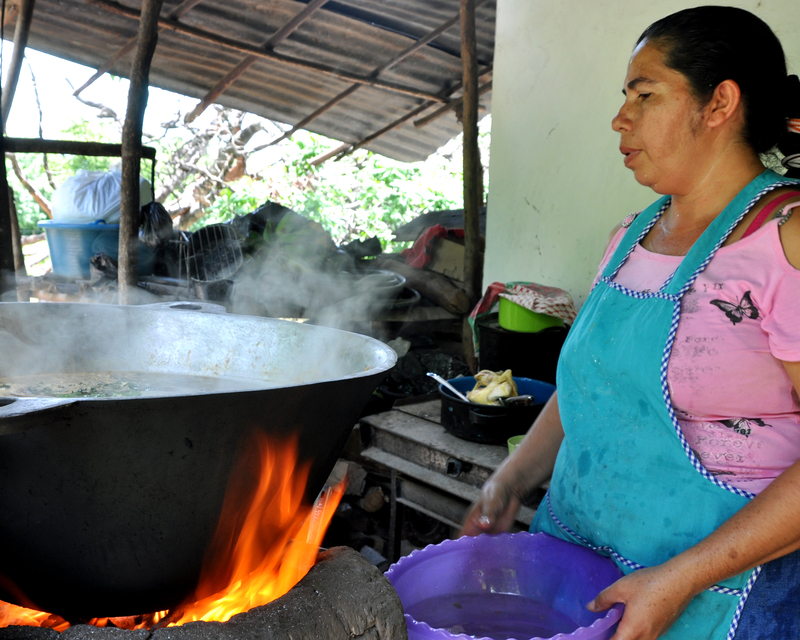 Maria rents a room and works part-time at McDonalds to support her family. Jorge is able to petition for asylum. The decision to emigrate is a highly individual decision based on a number of factors, including violence, safety and security, poverty, economic and educational opportunities, and the desire to provide the best for one’s children. It is never made lightly, and it isn’t without sacrifice, for both parents and children. It changes the family dynamics forever. The children, like Ana, grow up quickly and adopt a mature attitude regarding their parents’ reasons for emigrating. On an intellectual and practical level, she knows her dad made a good decision for his family. But her tears are evidence of the pain and heartache involved. Marcos* was a Salvadoran immigrant in his late 20s whose story caused me to dig deeper in order to understand his home country. Since then, I’ve studied the history of El Salvador and last year, I visited there. I’ve made Salvadoran friends both in the US and in El Salvador. It’s fairly easy for non-immigrant Americans to look at immigrants who struggle in our country and wonder — often aloud — why they are here. But perhaps if more people had the opportunity to visit their countries of origin, they would understand a little better. I met Marcos in the homeless shelter following his 2-week stay in the local hospital. He was traveling from Texas to New York and became seriously ill. His “friends” called 911 and dropped him at a rest stop along I-95. He was totally alone, with nowhere to go, and he didn’t know anyone in Virginia. 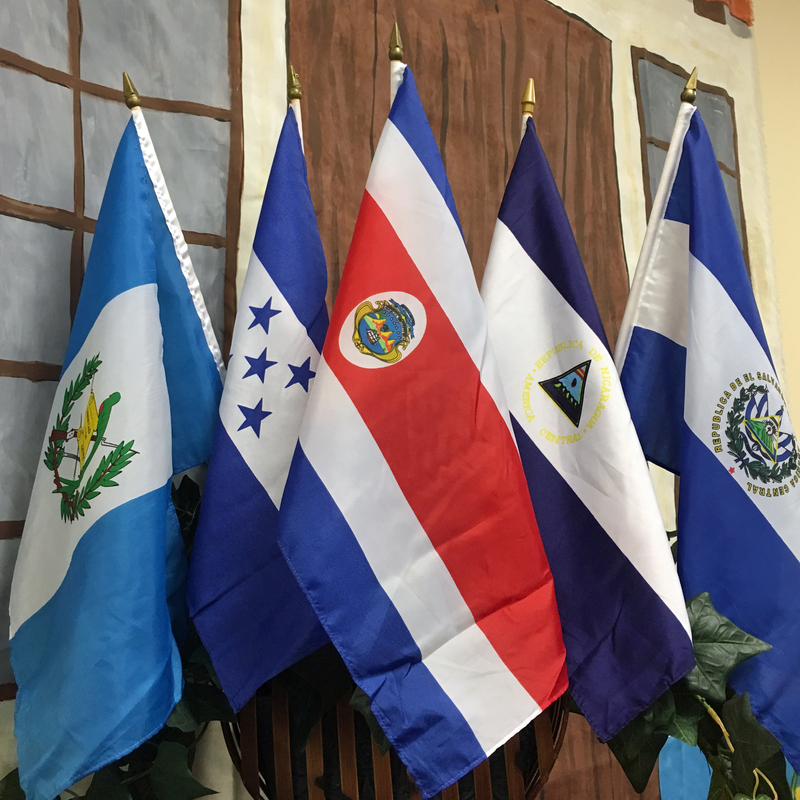 Approximately 1 of every 5 Salvadorans lives in the United States, making Salvadorans the 6th largest immigrant group in the US. A large number came as a result of the civil war, which ended in 1992; others came as a result of natural disasters that affected the country; and relatives have joined immigrants through family reunification. Today, much of the influx is due to violence and the growing control of Salvadoran communities by gangs, like Marcos experienced. In my last visit to El Salvador, I couldn’t help but think of Marcos. 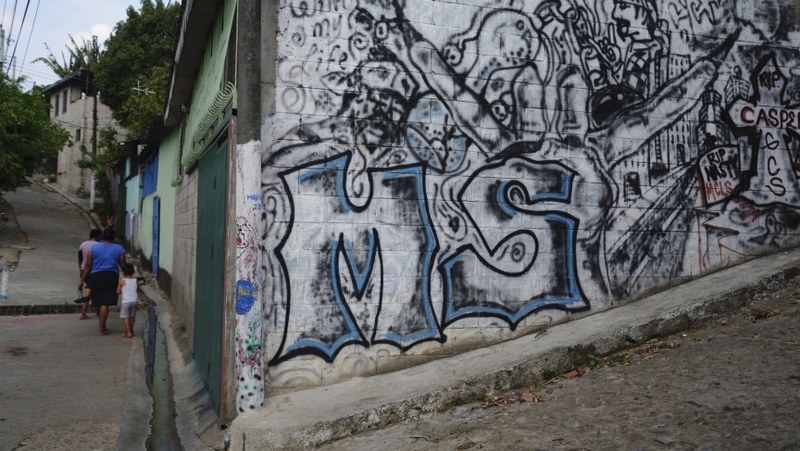 I experienced first-hand the reality of life in impoverished neighborhoods where gangs rule. I saw the fear of engaging in simple routines like travel to a neighboring community, where one can inadvertently cross from one gang’s territory into another’s. I was surprised when friends chose to meet me for dinner at a restaurant rather than in their home, because “my neighborhood wouldn’t be safe for you.” I secretly wondered if my presence would have put them more at risk for extortion if gang members knew they had an “American” friend. 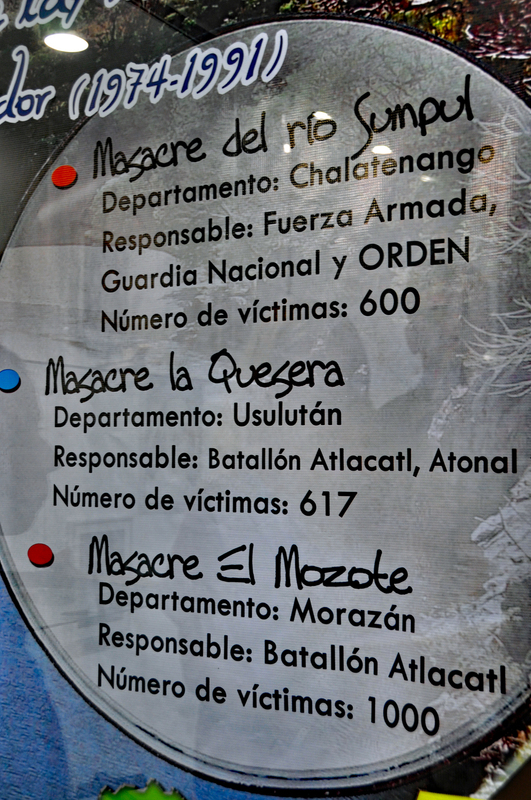 One of the things that Marcos most wanted to do was to contact his mom in El Salvador. He hadn’t spoken to her in years because he was ashamed of his life. We called “to let her know I’m OK,” — even though Marcos knew he wasn’t OK. “I know she loves me and prays for me.” And Marcos wanted me to go with him to church. As we worshipped, prayed, and talked about God’s grace and unconditional love, Marcos made peace with his life. Soon, he was well enough to move on to his waiting job in New York. Most immigrants I know have sacrificed much to come to the US: language, culture, family, social status, dignity. When they talk with their families back home, few ever reveal the truth about how lonely or hard their lives are in the US. And yet they still choose to be here, because for many, the worst life imaginable in the US is still better than what they faced in their home countries.